Proper dental hygiene is an important part of your pet's preventative healthcare. Keep those teeth white and shiny to prevent problems and pain. We can teach you how to care for your dog's and cat's teeth at home - check out our video below! 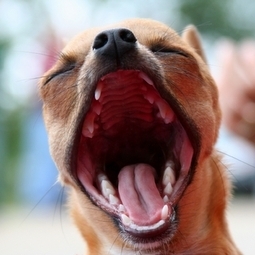 Does your pet have bad breath, red gums or tartar buildup? We perform professional cleaning and polishing daily. Safe anesthesia, xrays and advanced dental procedures are available when required to restore your pet's healthy mouth.